In 2017, Pinnacle Point released one of the best Melodic Prog albums of the year, which featured the fantastic voice of Jerome Mazza. This record came to the attention of Escape Music, and they arranged for Mazza to add some vocals to none other than ex-Kansas "Vocal-God" Steve Walsh's solo album 'Black Butterfly'. Mazza's voice added something special to that release and not only was he asked to add backing vocals, he was also invited to take the lead on some tracks which no doubt raised his profile in the Rock community. 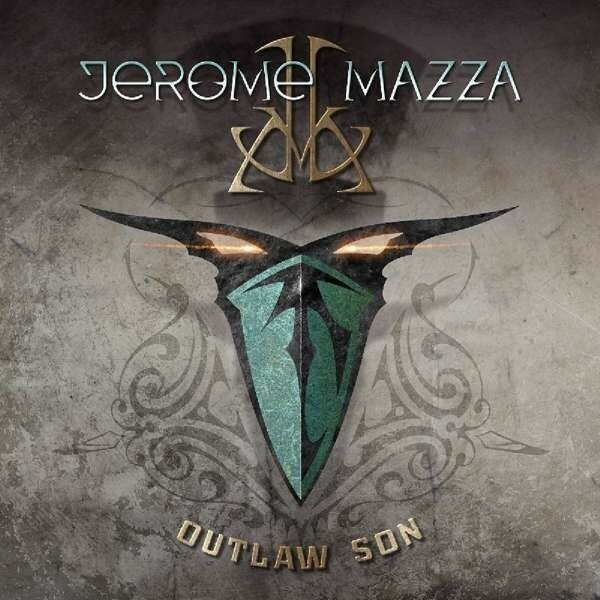 Escape Music knew there was something exceptional about Mazza and signed him to a solo deal, and as a result of this, his new album entitled 'Outlaw Son' is about to be released. Featuring Tommy Denander (guitar, keyboards and production), Brian Anthony (bass), Chris Metzger (drums) and Steve Overland (vocals), 'Outlaw Son' is simply one of the best records of its kind that I've heard for many years and I suspect it's destined to be included in many year-end favourite release lists. Sounding like a cross between Streets, Kansas and Slamer, we get twelve Melodic Rock songs that many of today's wannabes could only dream of creating. There's not a filler to be heard, and with a major league production adding to the overall quality, this is an album that demands to be heard. Okay, so it's nothing new in terms of originality, but it more than makes up for it in quality with wonderful musicianship and exceptional vocals. I won't try to pick a favourite track because they keep changing every time I listen and I can honestly say there isn't a single song I want to skip. It's not often that an album keeps the consistency up through every track, but Mazza has achieved that with a collection of songs that raise the bar in today's Melodic Rock scene. Jerome Mazza is currently on a roll (there's a new Pinnacle Point record also in the works), but hopefully, he will be able to schedule some live dates in the not too distant future.